Brahms German Requiem is a solemn mass unlike any other previous Requiems. Spurning Latin texts Brahms set sections of Luther’s translation of the Bible in a composition that is intended to reconcile the living to their loss and dwelt more on the hope of the Resurrection than on the fear of Judgement Day. The mass first appeared without its central and most beautiful section, the soprano solo which makes up the fifth movement. The idea of writing a requiem first came to Brahms after the death of Robert Schumann in 1856, but for various reasons—not the least of them his lack of true faith—the intention lapsed until 1865, when the death of his mother plunged him into inconsolable grief. Four years later he composed his tribute to her, Ein Deutsches Requiem. This setting for this hybrid SACD version was a series of two concerts performed at the Barbican in London and recorded live in March 2013. The opening of the mass is shrouded, with an almost whispered animate pulsation. Choral entries are superb and lure out the emphasis of text’s dramatic and solemn values. This continues through the steady triple time rhythm of the second movement. The chorus remains immaculately drilled through the third movement although this might have had a better sense of force and thrust, once the choir and orchestra hit their stride there is a magnificent fugue that stretches out over a pedal D. Then there is a sudden rush as if the choir is trying to catch up with the orchestra that seems to have pressed on and the choral component of the work starts to hurry a tad. But things settle down as soon as the sixth movement proceeds from the Vivace onwards. The baritone—an important player in this, and any other Requiem mass—Christopher Maltman is sure footed and blazes through his two solo passages. Sally Matthews may have too much vibrato for some; however, her pristine reading of the rather difficult and classical text is to be admired as she lifts it to moments of great heights. 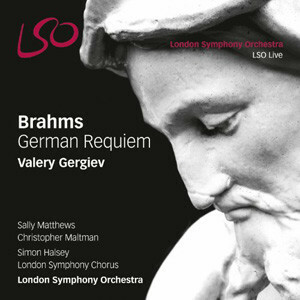 Valery Gergiev may not be Otto Klemperer, whose EMI recording of 1961 was a highly reverential affair distinguished by solo contributions by the legendary Dietrich Fischer-Dieskau and Elisabeth Schwarzkopf, supported by a fine Philharmonia Chorus, but this London Symphony Orchestra (and Chorus) version is certainly one to be recommended. 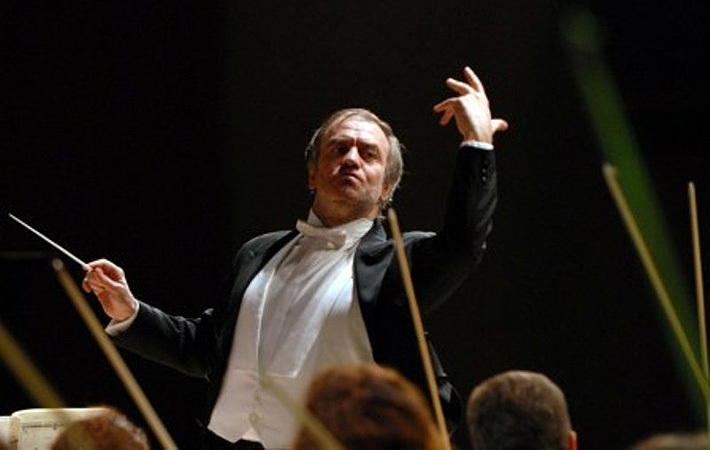 Mr. Gergiev—seemingly unpopular with some of the British critics is a fine conductor whose reverential and incisive and articulate reading of the original Lutheran texts is what ought to recommend this beautifully produced recording to many.